I keep making Browserling easier to use and I just released an Opera add-on for Browserling. This add-on lets you quickly access all the platforms and browsers with one click. 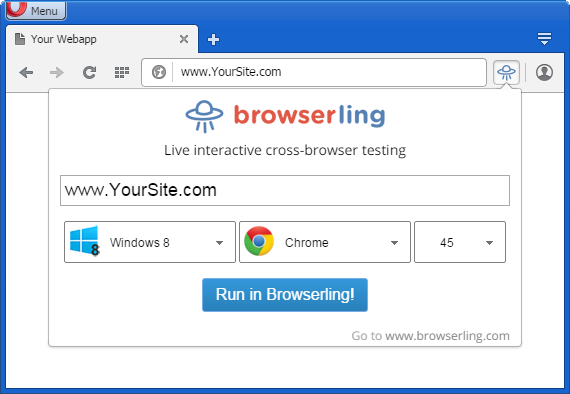 No need to go to browserling.com first to start cross-browser testing. Just install the addon and you're ready to go. In the next few months I'll also be releasing addons/extensions for Firefox, Safari, and IE. I already released Browserling's extension for Chrome two months ago. This blog post is a repost of Announcing Browserling's Opera Addon on Browserling's cross-browser testing blog.